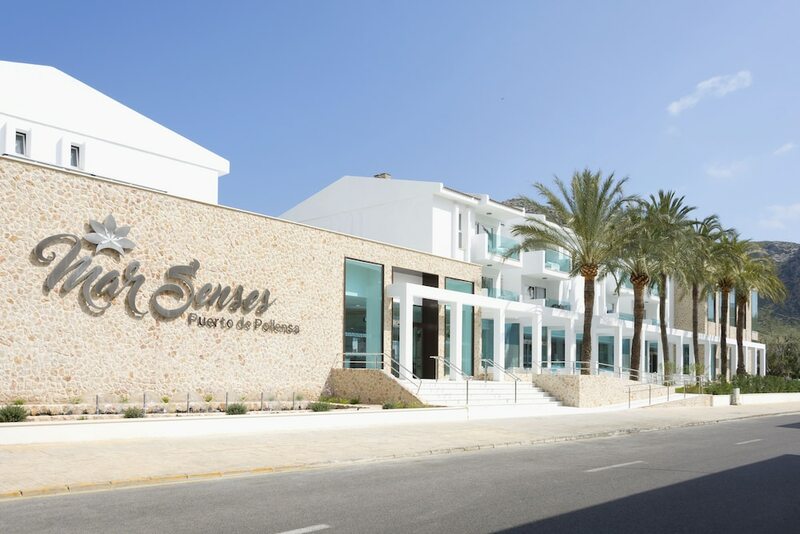 When you stay at Mar Senses Puerto Pollensa - Adults Only in Puerto de Pollensa, you'll be on the Strip, within a 15-minute drive of Pollensa Port and Formentor Cape. This 4-star apartment is 7.5 mi (12 km) from Alcudia Beach and 11.3 mi (18.2 km) from Playa de Muro. Make yourself at home in one of the 116 air-conditioned rooms featuring flat-screen televisions. Rooms have private furnished balconies. Complimentary wireless Internet access keeps you connected, and satellite programming is available for your entertainment. Conveniences include phones, as well as safes and desks. Relax at the full-service spa, where you can enjoy massages, body treatments, and facials. You're sure to appreciate the recreational amenities, which include 2 outdoor swimming pools and a fitness center. Additional features at this apartment include complimentary wireless Internet access, concierge services, and a reception hall. Guests can catch a ride to nearby destinations on the area shuttle (surcharge). Enjoy a meal at the restaurant or snacks in the apartment's 2 coffee shops/cafés. Relax with a refreshing drink from the poolside bar or one of the 2 bars/lounges. Buffet breakfasts are available for a fee.